Orders are filled on a first come, first serve basis, so we will be placing orders weekly. Use the button above to print a paper form. Forms were also given to the teachers to send home today. No online orders will be accepted. Make sure you clearly mark your first and second choices for both theater and day of week. Parent and child tickets are the same price. Tickets are $7 per person. All movies start at 9:45am. One movie is shown each week. The movies are shown in the order listed above. Your ticket is valid for guaranteed entry at your theater on your day only. You can attend on a different day if there are spaces available when you show up to the theater (there is usually room). You can give your tickets to someone else if you can’t attend one week. All “rooms” in a theater are showing the same movie, so pick whichever room you like. The showings are very kid friendly, so little kids are ok to bring. Everyone 3 years and older needs a ticket. Seats are only guaranteed for ticket holders so children 2 and under may need to sit on a parent’s lap. Parents must stay with kids. No adults without children will be admitted, so Grandma must enter with your family if she wants to come. You can use your Harkins Loyalty Cups during the Summer Movie. Don’t want to stand in line waiting to pay for your child’s art or can’t make it that night? Click here to pre-purchase your child’s artwork! Mrs. Bergman has worked devotedly over the years to instill a love of art in her students. This is an opportunity to appreciate the artist in each of your children. Like last year, art will be displayed in beautiful frames, which can be purchased and taken home that evening. A percentage of the sales will be given back to the school to help develop our specials programs. After you have found and admired your child’s art, be sure to stop at all the creative stations around the campus. There is rock painting, a craft based upon Yayoi Kusama’s Obliteration room, artist interviews by 6th graders, and a selfie station for photos. In addition, there will be displays from our students demonstrating how math, science, music, and art intersect. Experience objects in our world from the perspective of someone one-tenth of our size; delve into the ever-creative world of science experimentation; and enjoy the musical talents of the best of our band and orchestra students along with other talented children in our school community. Treats and hot chocolate will be available for sale for $1.00 each. Select the image on this page for details on the framed art pre-sale. The event is completely free to attend. Please dress appropriately for the weather as all of the art and activity stations will be located outdoors. I guess a few more details wouldn’t hurt. 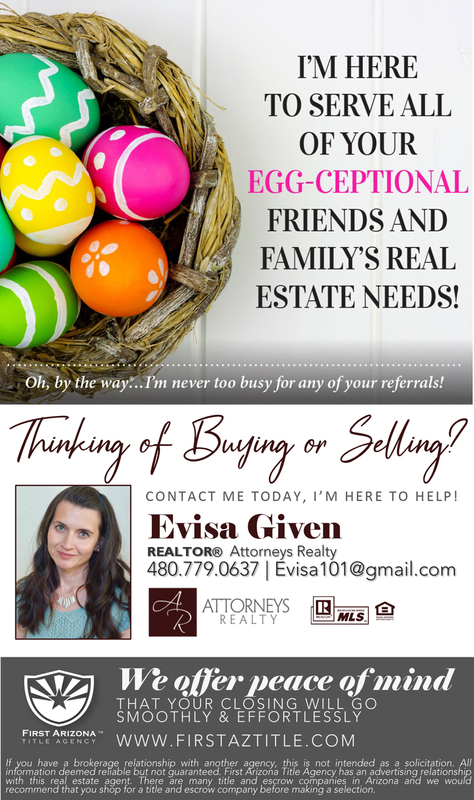 Location: Southeast corner of Baseline and Gilbert Roads. 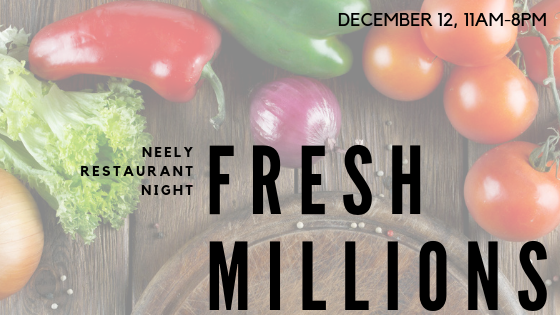 Fresh Millions is a sandwich, salad, wrap, and bowl restaurant specializing in healthy options made to order. They have a kids menu, too. Entrees are in the $8 range. 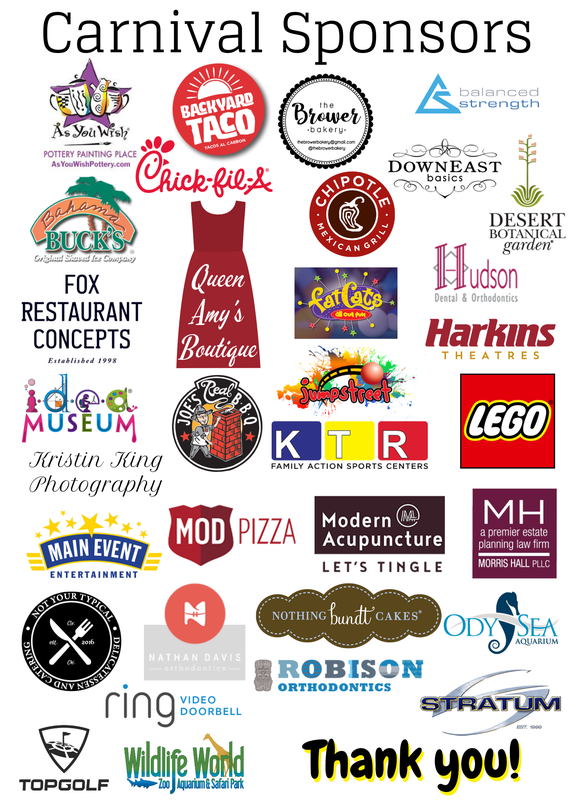 They are donating 50% of sales all day on December 12 (11-8) so stop by for lunch, dinner, a snack, or anything else. Valid for take out or dine in. Flyer must be turned in at checkout for purchases to count. You can print one here. Here is a link to the menu. If you haven’t tried them out and were curious about their name, now is your chance to answer those questions and you get to raise money for our school! This is an easy way to help Neely and get out of cooking! See you there! Using Amazon Smile is so easy! The one catch is that purchases MUST be made through smile.amazon.com, not the app or amazon.com. Do everything like you normally do on your phone, computer, whatever, including adding items to your cart. DO NOT CHECKOUT!! On your phone or tablet, open Safari or Chrome, and go to smile.amazon.com. On your computer, make sure the web address is smile.amazon.com. When you do, you will be prompted to sign in an choose a charity. Pick us – Neely Elementary School Parent Teacher Organization (aka Neely PTO). You will only have to do this the first time you use Amazon Smile. NOW CHECKOUT! You will get a happy message saying Thanks for Supporting Neely! and you’ll get that smile on your face that Amazon promised in their name because your kids get something to help their school for FREE! Everything you love about Amazon works exactly like it always has, but our school and your kids benefit. So, try it out. Get a little early holiday shopping done and help us earn a whopping 5% of your purchase! Want more details? Click HERE to visit Amazon’s Q&A section about Amazon Smile. Dine in or Take out, you pick! If you’ve been around Neely for awhile, you know how awesome our Restaurant Nights are! A ton of people show up, there are kids darting around to say hi to friends all night, and it is the EASIEST money our school makes! Our Chipotle night was our most successful restaurant night last year. Let’s see if we can beat it this year! Details are in the image below. Volunteer to help set up the drop off zone, help Neely families drop off donations, sort and re-box or bag items as needed, help to load the bins to be weighed and transported to Sunshine Acres. If you aren’t able to work a full hour time slot but have a half hour, let us know so we can team you up with someone to fill the slot. Please dress for the weather and in comfortable clothes and shoes. We will be in the landscape (dirt, rocks) and street (on and off the curb). Rule to remember: If it hasn’t been used or worn in 3 years, it probably won’t ever be. Bring your clothing items in plastic bags and bring in as many bags as you can. Please place books and household items in boxes. All donations go to Sunshine Acres Children’s Home! 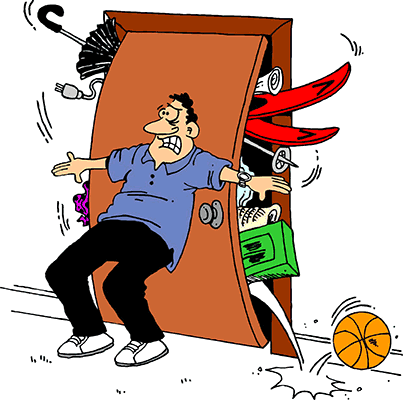 Don’t carry it in – we will unload for you! We will take your reams of paper and your cash to buy reams of paper right at the curb! No more loading up backpacks or hauling it into the office! Paper can also be donated in the office Monday-Wednesday. Remember: The Neely family that brings in the greatest weight gets a $25 check from Sunshine Acres. Ask your neighbors, friends and family to clean out their households. Stop at garage/yard sales in your neighborhood. Let them know about our school fundraiser. Offer to come back when their sale is over and take any items that we can accept. Let them know you can provide them with a tax donation letter just like Goodwill can AND that all items will be going to help our school and Sunshine Acres Children’s Home. Watch Craigslist garage/yard sales, rummage and church/other organization sales. They usually post when the sale is over. Many post…”what’s left is at the curb, take what you want.” You may offer them a tax donation letter as well and let them know that the donations help both our school and Sunshine Acres Children’s Home. All clothing accessories including Shoes, Purses, Backpacks, Belts, Linens, Bedding, Curtains, Pillows, Towels, Hats, Fabric, Sheets, Blankets, Duffel Bags, Sports Bags, Luggage, Socks, cloth/fabric and Comforters. Books of all types and sizes including magazines! Jewelry, records, compact disks, video tapes, DVD’s, games, toys and small sports equipment, Housewares…dishes, glassware, kitchen utensils, lamps, small countertop appliances, collectibles, antiques, knickknacks and other giftware, hand tools, small power tools, stereos, radios, VCRs, DVD players, etc. 18x18x18in or smaller. NOTE: furniture, TVs, computers/printers, full size appliances or other large household items – they will take them but we don’t make money on them! One of the most popular items is their refillable souvenir cup. Purchase the cup for $6.50 and you can get $1.50 refills (first one is even free!) all year. If you purchase their summer movie tickets, this is a great way to get a cheap drink to stay cool! While you’re at the theater, you can redeem your Popcorn Voucher. Each punch is good for a medium popcorn. There are 36 punches on each card – an average of 3 visits a month! Limit of one punch per visit. It’s only $30. Orders are accepted by paper form only and must be turned in by November 2nd. We will deliver the vouchers for your purchased items by December 7th so you can have time to get them to your family and friends for the holidays. A Bunch o’ Box Tops for a Bunch o’ Balloons! 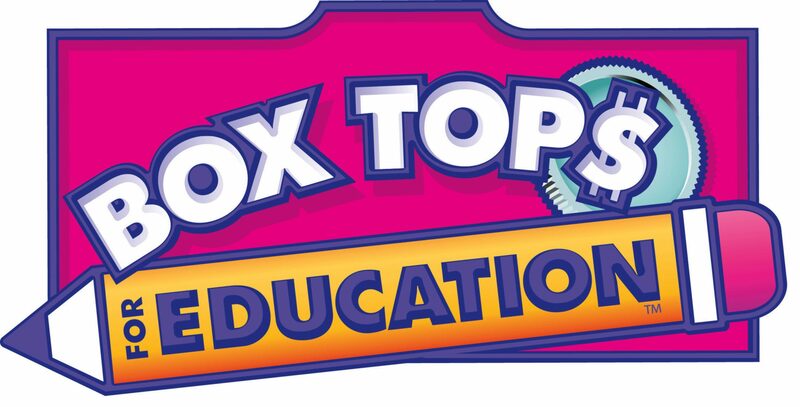 Collect as many Box Tops as you can. Glue 10 Box Tops at a time on to this sheet. Use more than one sheet if you have more than 10 Box Tops. Write your name and your teacher’s name on the sheet. Turn it in to your teacher or the office by August 31. We will draw a single winner from the stack at the end of the contest and that one person will win 350 quick-fill water balloons! His or her teacher will win a $25 Target gift card! How awesome is that math!? Our PRIVATE Neely Skate Party! Any Neely family is welcome! Children do not have to attend Neely, but they do need to be accompanied by someone who has a child at Neely currently. Meals and entrance will be purchased at the door or by returning the paper flyer that was sent home today. Pre-Sale purchases are due to the Neely Office on April 21. Skate rental can be purchased at the door only. See the image below for more details.